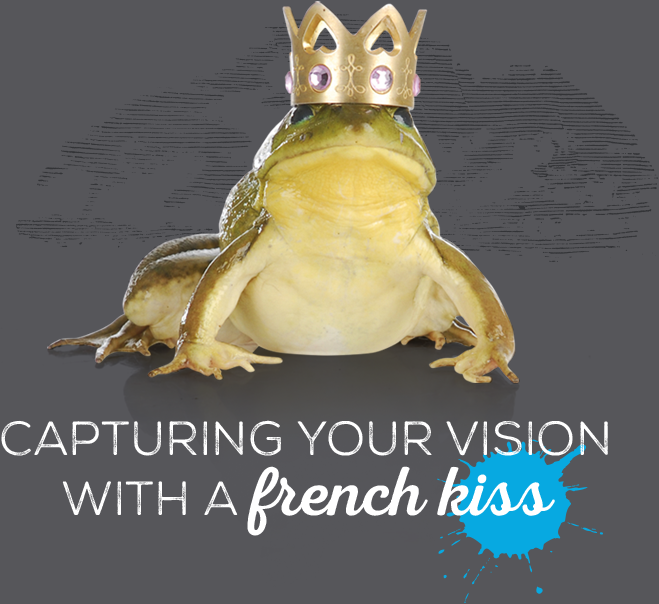 Oui Design Agency is a creative studio based in Asheville, North Carolina and Paris, France. Oui are Rebecca Bing and David Koprak, combining transcontinental acumen with award-winning work. Over 20 years of experience and competitive pricing make Oui your best choice for all of your marketing needs. 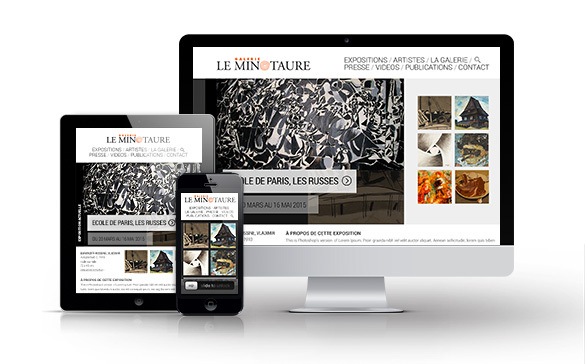 Galerie Le Minotaure is a high-end art gallery located in Paris, France. We created a website for them that could easily contain a robust database of artwork, detailed exhibit information, publications for purchase, social media integration, and automatic language detection features. Check out their website. 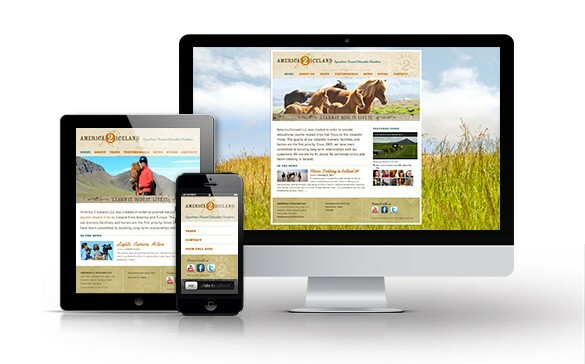 A2I is an equestrian focused travel company that leads tours in Iceland. OUI created the logo, website, promotional materials, and print campaign. Check out their website. Lydian Naturals makes outstanding all-natural products for the skin. OUI created the logo, packaging, and website. Check out their website. For this project, OUI Design Agency utilized it's full-service approach. 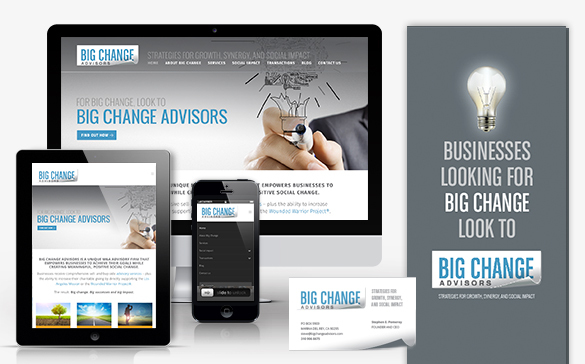 From logo design, branding, brochure design, e-newsletter, stationery, web-design and development, as well as working closely with the copywriter who helped the client meet their objective. Check out their website. Erwin Blumenfeld, photographer and artist, is well known for his fashion photos, especially in Harper’s Bazaar. 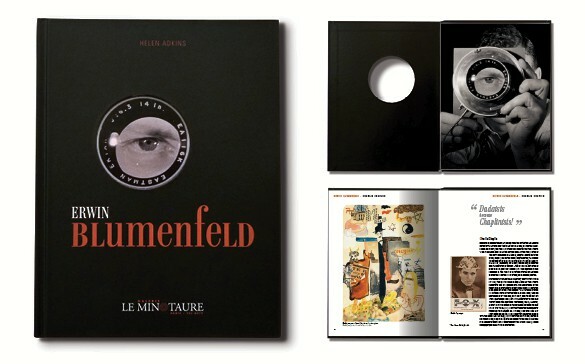 His memoir, created by OUI, captures his personal work which was very trendsetting and influential. 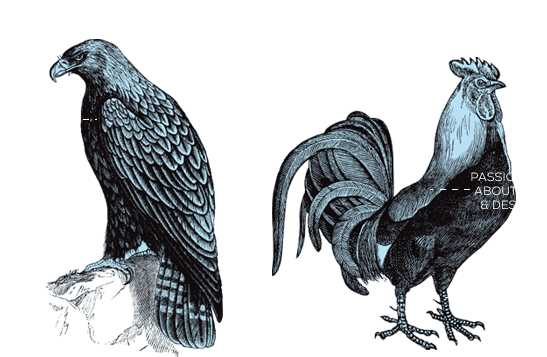 OUI created the logo, the book, and all the graphic identity pieces for his exhibition (invitations, posters, signage…). 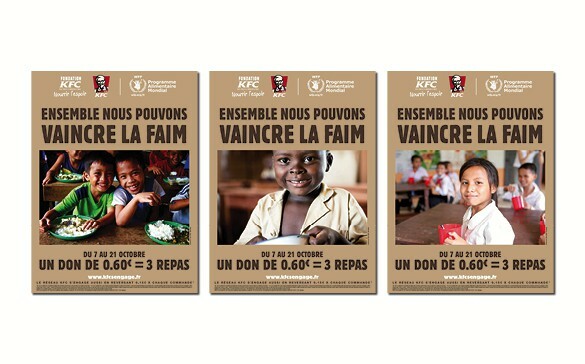 In just 2 weeks, KFC organized a donation campaign in France for the WFP. OUI created all the promotional materials (posters, menu boards, display cases, etc). 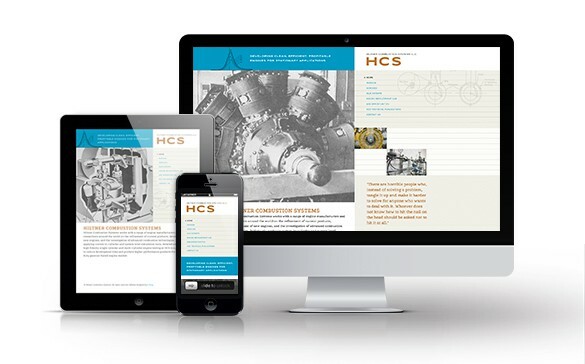 HCS builds advanced combustion engines for engine manufacturers and researchers around the world. OUI designed the logo, website, brochure, and marketing materials. Check out their website. 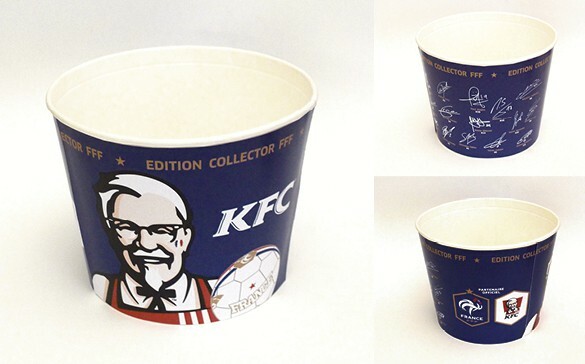 To celebrate the partnership with the FFF (Fédération Française de Football), OUI has created for KFC a blue bucket in the colors of the french team with the signatures of the players. 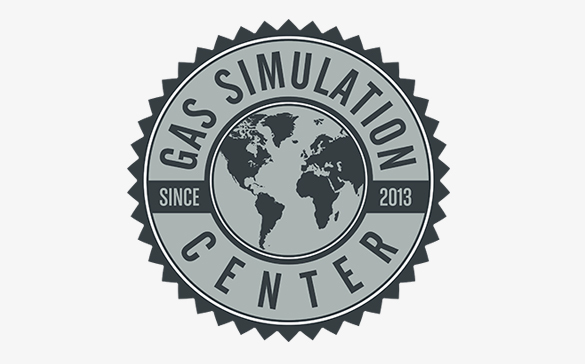 Design of logo for an internal global virtual organization within Caterpillar, Inc.